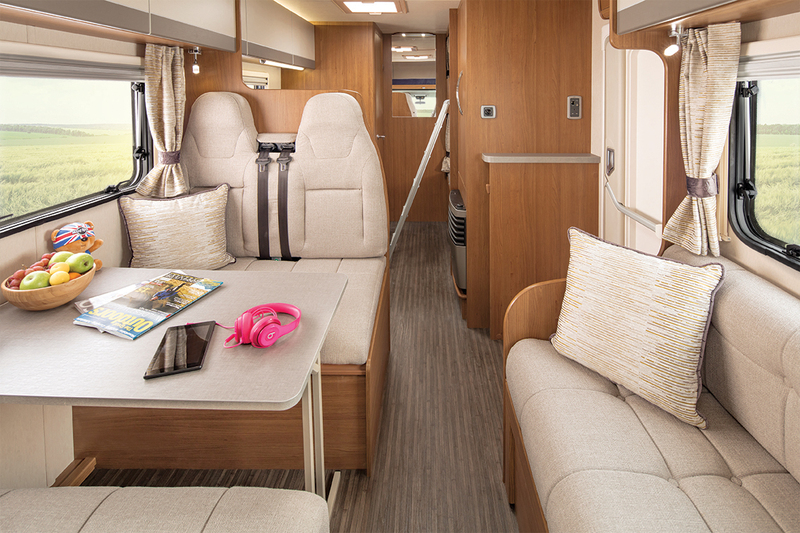 This Tribute T726 is a motorhome with exemplary looks and functionality. Roomy and practical, ‘Cruz’ is a doddle to drive thanks to its refined 130bhp engine, six-speed gearbox, ABS brakes, reversing camera, and hill start support system. You really will be cruising! Built on Fiat’s wide-track chassis for extra stability, and with bags of character, the interior features a 5-seater dinette, spacious kitchen, corner washroom and toilet with separate shower cubicle. If you’re looking for a stylish, practical and reliable motorhome for your next road trip, we’re sure you have found it with ‘Cruz’.